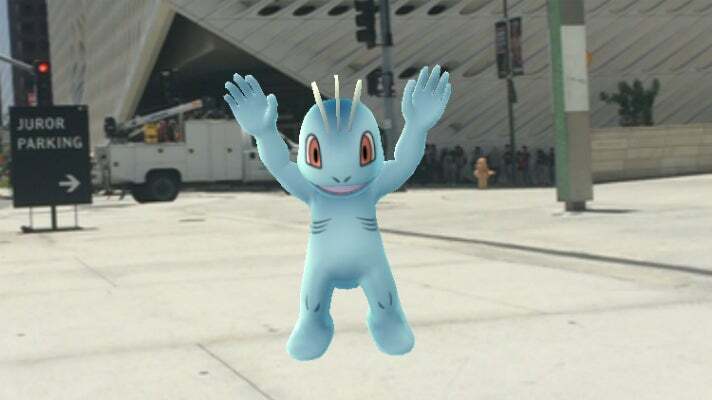 With the colossal rise and friendly mass takeover of Pokémon Go conquering countless cities across the world, it’s no surprise that these critters are invading every historic and cultural epicenter the City of Angels has to offer as well. 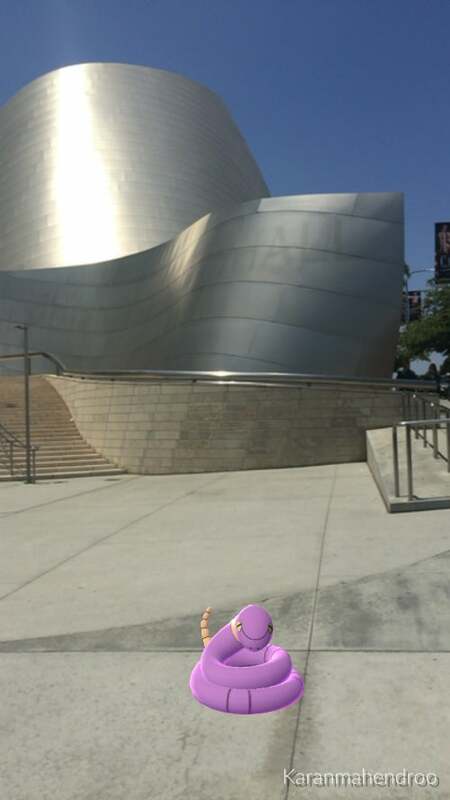 Heading to breakfast with Ekans at Grand Central Market and then a tour of Walt Disney Concert Hall with Machop will give you a great taste of the vibrant heart of the city. Maneuvering through Los Angeles with your eyes glued to your phone (and every Pidgey that flies by), every Pokémon Go player is taken through L.A.’s most famous landmarks on a quest to capture them all. These Pokémon are forcing Angelenos to take a step back and admire/interact with landmarks they seamlessly pass by every day. It’s almost as if this videogame is giving you the best tour of Los Angeles you never knew you needed. Seriously, @sheratonladowntown - All i wanted was a latte. This station is the eastern terminus of the Expo Line, located in Downtown L.A.’s Financial District at the corner of 7th Street and Flower Street. The historic building formerly known as Macy’s Plaza is undergoing a $160-million transformation into The Bloc, a modern, pedestrian-friendly destination. The project includes opening up the structure to allow for more light, street-accessible stores and restaurants, and internal access to the 7th St./Metro Center station directly below the building. What’s the best part about the Sheraton Grand Los Angeles’ $40-million renovation? The hotel is now crawling with Pokémon! Known formally as the Pico/Chick Hearn Station (in honor of the legendary Lakers play-by-play announcer), Pico serves the South Park neighborhood to the east, and the Figueroa/Convention district to the west. The Los Angeles Convention Center, L.A. LIVE and STAPLES Center are a short walk away. STAPLES Center is the home of four professional sports franchises: the NBA’s Los Angeles Lakers and Los Angeles Clippers, the NHL’s Los Angeles Kings and the WNBA’s Los Angeles Sparks. One of the world’s greatest venues is no doubt home to the world’s greatest legacies, from Gretzky to Beyoncé to Pikachu – each filling the arena with battle cries to remember. Located at the lower end of the Figueroa Corridor, along the east side of Flower Street, adjacent to the 110 Freeway, just north of Jefferson Boulevard. The entrance is on the north side of Jefferson/Flower. The station serves the northeast corner of the University of Southern California (USC), as well as the Galen Center sports complex. At the heart of this educational institution, there are thousands of students running late to class because Jigglypuff keeps blocking the paths. Pokémon are overrunning the campus - they're in classrooms, dormss, and even crashing the USC marching band practice. This station is located on Exposition Boulevard at Trousdale Parkway, with the USC main campus to the north and Exposition Park to the south. The 17-acre Exposition Park is the site of several famous cultural attractions and venues, including the legendary Los Angeles Memorial Coliseum. The Coliseum is renowned as one of the world’s greatest sports venues, home to legendary athletes, milestone achievements and classic games. The Coliseum has also hosted numerous historic figures and milestone cultural events. The best trainers on the planet groom their players’ instincts, instill in them a sense of valor, and create some of the most mystic battles the world has ever seen – right in the heart of Los Angeles. The happiest of hours are spent at the city’s best PokeStops. Located in the heart of Downtown Culver City, SĀMBĀR is the newest concept from Chef Akasha Richmond. SĀMBĀR showcases the diversity of Indian cuisine with an invigorating array of clean, bright flavors and choices - all inflected with familiar ingredients as interpreted through a California lens. This street-level station is located on Westwood Boulevard, .3 miles south of Pico Boulevard and the Westside Pavilion shopping center. Take the Big Blue Bus north to the UCLA campus. Built in 1929 as one of UCLA’s first campus structures, the landmark Royce Hall is renowned for its classical setting and a wide-ranging, eclectic seasonal lineup of artists that ranges from legendary jazz and blues performers to young hip hop stars. Royce Hall’s newest and coolest show: 43,000 UCLA students running around trying to catch Pokémon. This aerial station is located on Sepulveda Boulevard, just south of Pico Boulevard. Located about a 15-minute walk from the station, Sawtelle Japantown is one of the Westside’s great hidden gem neighborhoods. The historic area is home to a sizable Japanese American population and is known for the trendy shops and restaurants centered on Sawtelle Boulevard. Regarded as one of the area's pioneering shops, Giant Robot sells Asian pop culture toys, t-shirts and books with a cutting edge, underground focus. Its sequel, GR2 is focused on original art. Pikachu’s main squad happens to be the giant robots at one of L.A.’s coolest art galleries. Our #SantaMonica Pier #pokeCatch report, from today 12-1p. So many new types, so much #biodiversity at the pier! The western terminus of the Expo Line is a street level station located at Colorado and 4th Street in Downtown Santa Monica. Walk a half-mile down Colorado to the historic Santa Monica Pier, one of L.A.’s most popular destinations. Opened in 1909, the Santa Monica Pier is a family-friendly landmark that includes Pacific Park, an amusement park with a roller coaster and the world’s first solar-powered Ferris Wheel. Other pier attractions include the Santa Monica Pier Aquarium, shops, restaurants and the historic 1920s carousel that was featured in The Sting (1973). There’s really nothing quite as romantic as watching the sun set behind L.A.’s most iconic pier surrounded by a loved one, a nice sea breeze, and a handful of Pokémon sighing “awww” in the background behind you.